Jenni Murray’s A History of Britain in 21 Women and a chance to add our own chapter? Review by Claire de Sully | Don't mention the M word! A History of Britain in 21 Women has been a great companion for me as it demonstrates how, for these women, dogged determination, ambition alongside single mindedness can see you through to fulfilling your purpose in life, no matter how mighty the obstacles are placed before each step you take. For me the power of this book is that it is as much a history of people than solely a female perspective. Often the stories around these extraordinary women involve men: husbands, lovers, fathers, male friends or mentors who impacted and influenced, whether for good or bad, their determination to succeed. We learn how important fathers are in their influence on their daughters lives, particularly in the pursuit of fully accessible education, the education already available to boys. Unrestricted education for girls seems the binding thread through all these stories, helping to drive all these women to make a difference for themselves as well as the world. When you consider the hardship that many of the women presented in this book experienced in trying to access the same education as males, it’s remarkable that in the 21st century there is such poor representation of females working in science, technology or in senior executives roles, now education is open to all. The critical skills gap in this country needs more women to skill-up by simply crossing their own boundaries into territories that even today are male-dominated. Although many of the women featured in this book should be familiar, their journey to greatness is not necessarily one we hear about in any detail in schools today. 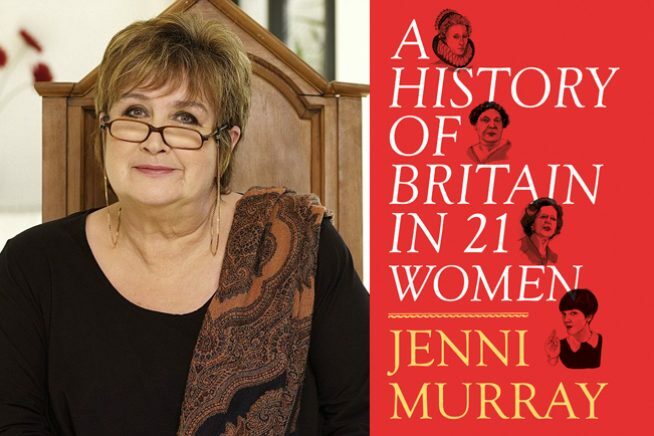 From Queens of England, writers, scientists, activists, this Jenni Murray dream dinner party is graced with the likes of Queen Elizabeth I, Jane Austen, Mary Somerville, Elizabeth Garrett Anderson, Emmeline Pankhurst, Gwen John, Barbara Castle, Mary Quant and the other 13 ladies featured in the book. These 21 women have crossed personal and political boundaries that trail-blazed for other women who follow in their footsteps. If we know these stories more intimately they really do emphasise the significance, the importance, of gender-free slanted history and education. Jenni Murray gives us her own perspective on the achievement of these women, highlighting the relevance of such female pioneers to women today, and showing that the endeavour of individuals (women in this case) can have a profound and practical effect on others. A female friend suggested to me that perhaps the reason so few women enter the fields of science, technology or even music composition today is down to the way our female brains are wired. With such beliefs (whether from men or women), it is even more important to read these inspiring stories that show exactly how women’s brains are wired and what that can lead to. If we to play our part, as women with ambition and determination, perhaps our own chapter can be added. Previous PostThe rise of micro-volunteering and a very British volunteer revolutionNext PostDyslexia – a disability or a unique learning ability?